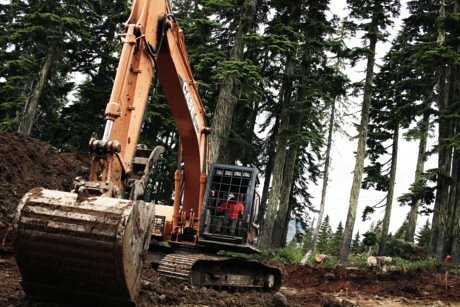 Getting ready to host Vancouver Island’s largest mountain bike event is no easy feat. Crews have been working their fingers to the bone prepping dirt, building trails and completely rebuilding the course. 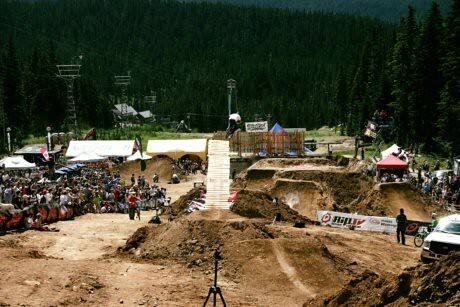 The Bearclaw Invitational Slopestyle is not for the faint of heart either. Berrecloth has personally selected the world’s best freeride mountain bikers, inviting them to compete on his signature course, on his home turf, and in front of his home crowd. Starting Friday, August 5th, the hills will be alive with the qualifying round at this fiercely competitive invite-only event. The top 18 riders will then advance to the Slopestyle finals, beginning Saturday, August 6th at 1:00 p.m. This weekend guarantees to be one you don’t want to miss! For more information, visit Mount Washington Alpine Resort online or follow Darren’s updates on Twitter. Also visit the official Bearclaw Invitational Slopestyle event page for more photos and information.